Phonics skills are the building blocks to reading. Teaching these skills in a systematic and hands-on way is proven to be a successful instructional strategy to reach ALL learning. However, sometimes instructing with all of the different modalities in mind can be difficult! 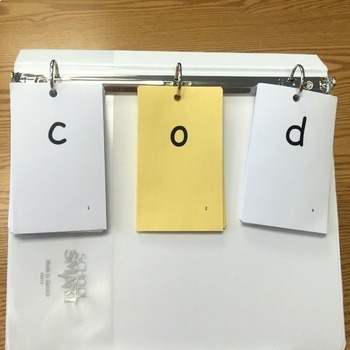 These resource can help support visual, auditory and tactile approaches to teaching, and learning phonics skills for K-2nd+ graders. → What is included in this resource? 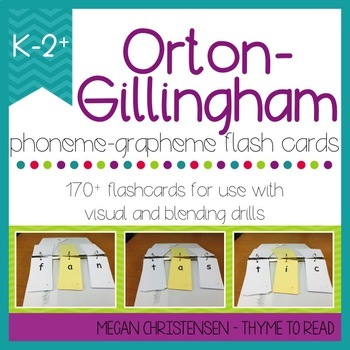 These Phoneme and Grapheme flashcards closely follow the Recipe for Reading sequence. The cards feature graphemes for consonants, short vowels, digraphs, consonant blends, long vowel teams, r-controlled vowels, diphthongs, and other word endings. Based on teacher request, there are THREE VERSIONS of these flashcards so you can pick the print option best suited for you. Cut Apart - these cards are prepped on 8.5x11 sized page (four cards to a page), and sorted into vowel and consonant sounds so you can easily print on different colored paper to visually designate the vowel sounds. In this set only, a page as been added for you to create your own cards. This page is fillable in PDF. This option works best if you use a school copier/printer. 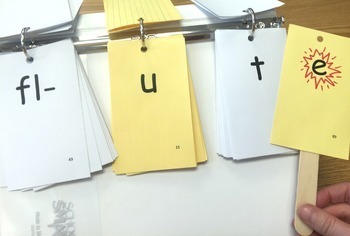 3x5 Sorted - these cards are again sorted into vowel and consonant sounds so you can easily print on different color INDEX CARDS to visually designate the vowel sounds. This option is great if you have a desktop printer, and can directly insert index cards. 3x5 Sequenced - these cards are not sorted by sound. They are sequenced very similarly to the Recipe for Reading sequence. If you do not wish to print on different color INDEX CARDS, this would be the best option for you. This resource is also a part of my OG Bundle. You can save by purchasing these flashcards, and the sound wall resource together. → How can this resource support your students? To start, I recommend printing off two sets of the cards. One set will be for your visual drill - students will look at the card, and produce the sound. You can also use this deck for your tactile drill - you can look at the cards, and produce the sound for your students, while they write the letter(s) in sand, rice, or on a felt square. 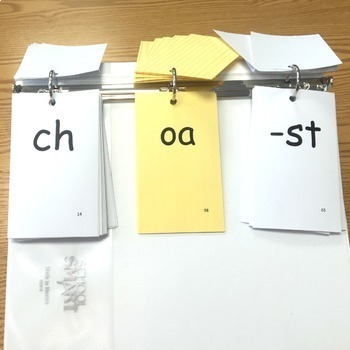 The second set, can be hole punched at the top of each card, and placed into a binder for your students to practice blending initial, medial, and final sounds. Having two sets of cards allows me to easily execute each different type of practice. You can also print off separate sets of cards for each group. This will allow your to easily differentiate your card decks. Only the skills that have been introduced are in the flashcard deck, and binder. When your students are ready, you can add more cards to their deck. This allows each of your groups to move at their own pace. At the same time, it can help to keep you organized. → Want to know more? Make sure you have clicked on the GREEN ★ above to "follow my shop. This will notify you when I post new resources, and give you early access to them at a discount!